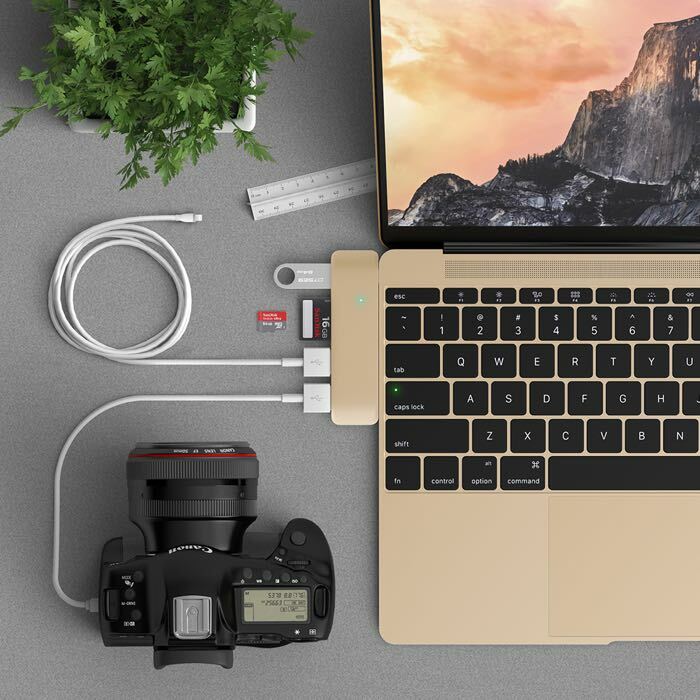 Satechi has launched some new USB Type0C accessories for the latest MacBook’s, these include a new Satechi Type-C USB Hub and a Type-C USB Adapter. Available in gunmetal, silver and gold, the Type-C Hub adapter perfectly complements the newMacBook. With the expansion of other devices implementing the Type-C ports, such as theNokia N1 tablet and Google Chromebook Pixel, the aluminum hub helps retain full-functionality of devices that typically use Type-A connections, such as charging cables, cameras, mice and printers. You can find out more details about the new Satechi Type-C USB Hub and a Type-C USB Adapter at the link below, the The Type-C Hub Adapter is available now for $34.99 on Satechi.net and Amazon.